Method 2: The easiest way to clean the grill is immediately after cooking is completed and after turning off the flame. Wear a barbeque mitt to protect your hand from the heat and steam. 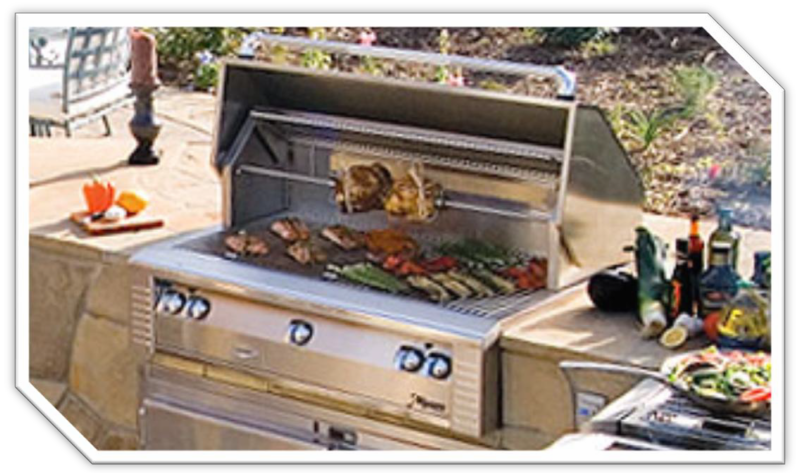 Dip a soft brass barbeque brush in a mixture of 2 cups of tap water and 1/2 cup of vinegar and scrub the hot grill. Dip the brush frequently in the bowl of water and vinegar. Steam, created as water contacts the hot grill, assists the cleaning process by softening any food particles. 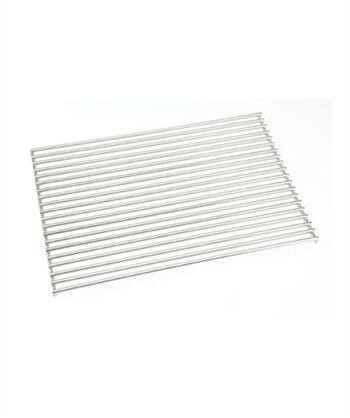 The food particles will fall onto the ceramic rods and burn or fall into the drip pan. If the grill is allowed to cool before cleaning, cleaning will be more difficult. Method 3: Take about 1 foot of aluminum foil, crumpled up in a ball and rub it over cooled grates to release food particles.